Inflate Africa offers an extensive line of promotional items, inflatable-advertising products, marketing services and event management services. Choose from hundreds of innovative promotional products that will grow your business and build your brand! Choose from dozens of inflatable advertising products that will bring your brand to life! Unleash The Power Of Your Logo! 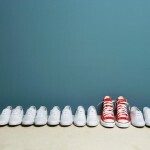 Give a kick start to your sales and marketing campaigns with the use of branded promotional products ! Definition: The factor or consideration (value) presented by a seller as the reason that one product or service is different from and better than that of the competition. This is a pretty cool video uploaded by “Open Air Cinema” on VIMEO; video-documenting a time-lapse of the set up of an inflatable outdoor movie screen!! 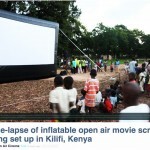 This screen was inflated in Kenya as part of the: Google/Field of Dreams initiative. PPAI’s latest research video reveals that promotional products are the hands-down winner when it comes message recall—generating a 15-50% higher consumer recall rate than TV, print and online advertising!